I'm working on an 8 frame walk cycle, and I'd like to copy and mirror the poses of the first 4 frames to the last 4 frames. However, for some reason my arms won't copy mirror properly. Can someone spot what I'm doing wrong? In Edit mode, select the right upper and lower arm. Not the answer you're looking for? Browse other questions tagged bones keyframes mirror or ask your own question. 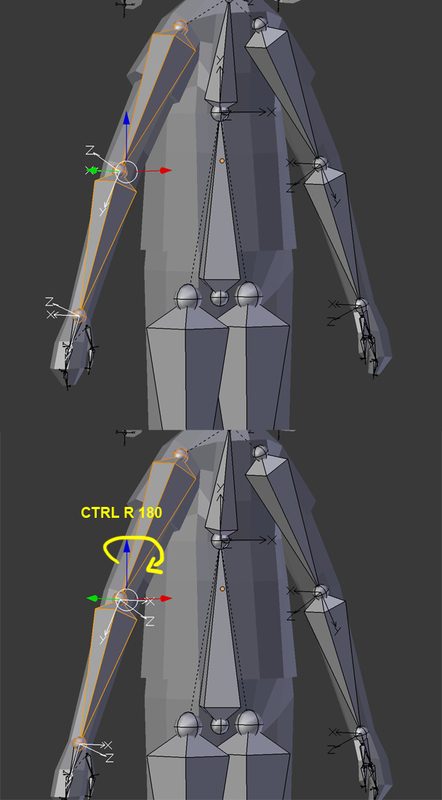 How to limit the rotation of knees, feet, ankles and similar joints?